Hello everyone! I am Darci Schipnewski, owner of Shades of the Past in Clara City, Minnesota. 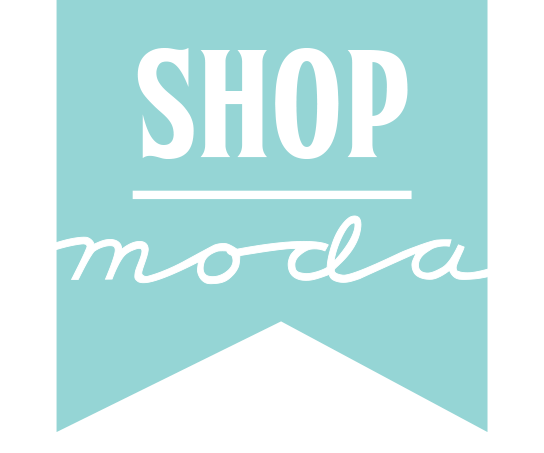 I’m so very excited to be sharing my first Moda Bake Shop pattern with all of you! I typically like to work and design with more dark and muted fabrics but with all of the cold and snow this winter Fresh Flowers has become a new favorite of mine!! 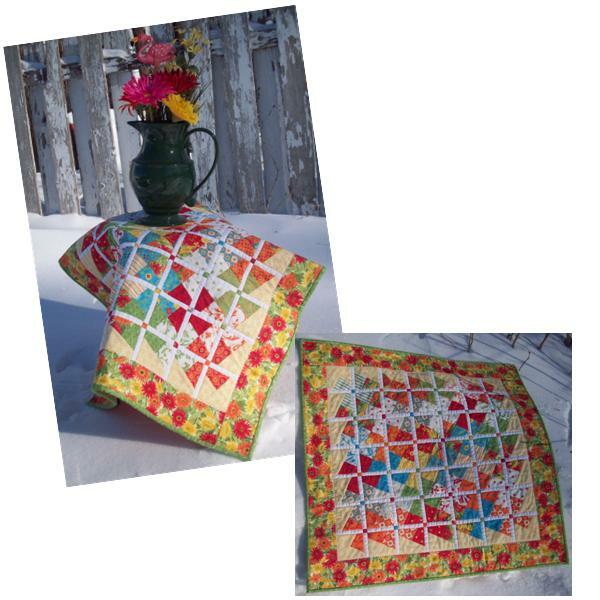 Thanks for checking out this pattern–I hope you enjoy it as much as I do! All instructions given below assume a 1/4″ seam allowance unless otherwise noted! 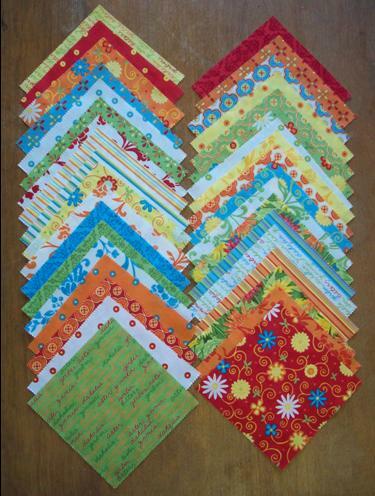 Step #4: Once all rows are sewn, join them together to form your first quilt top. Press seams open. 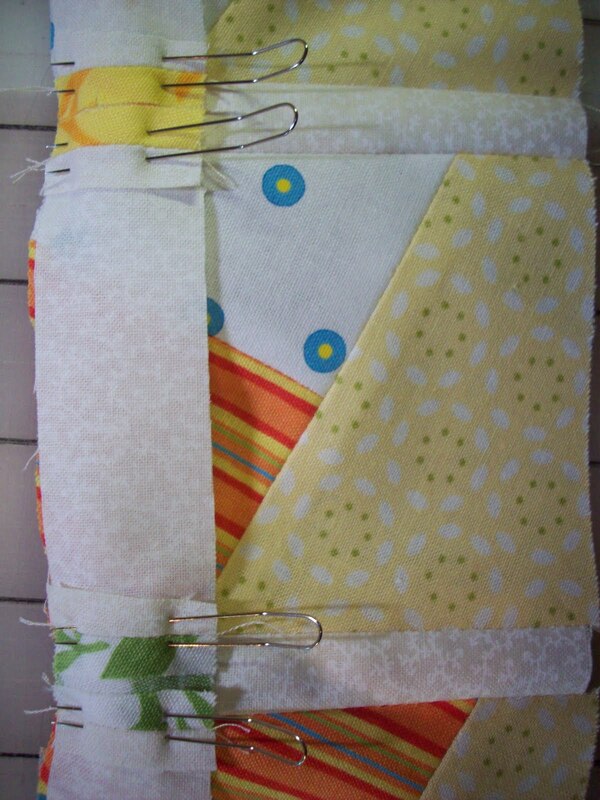 Step #5: Cut (4) 3″ strips of Sunkissed yellow fabric. 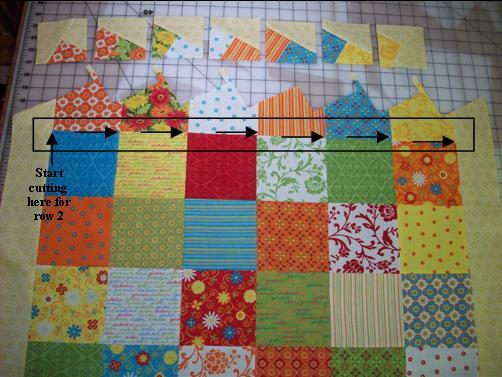 Measure through the centers of your quilt top to find accurate length measurements. 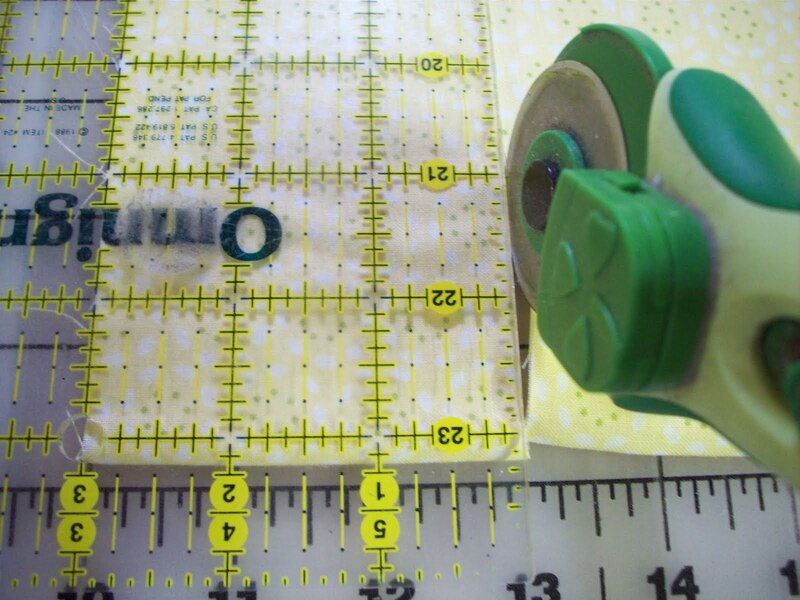 Sub-cut (2) strips to measure 3″ x *27 1/4″ and (2) strips to measure 3″ x *32″ (make sure you use your length number by the measurement with * by it!!) 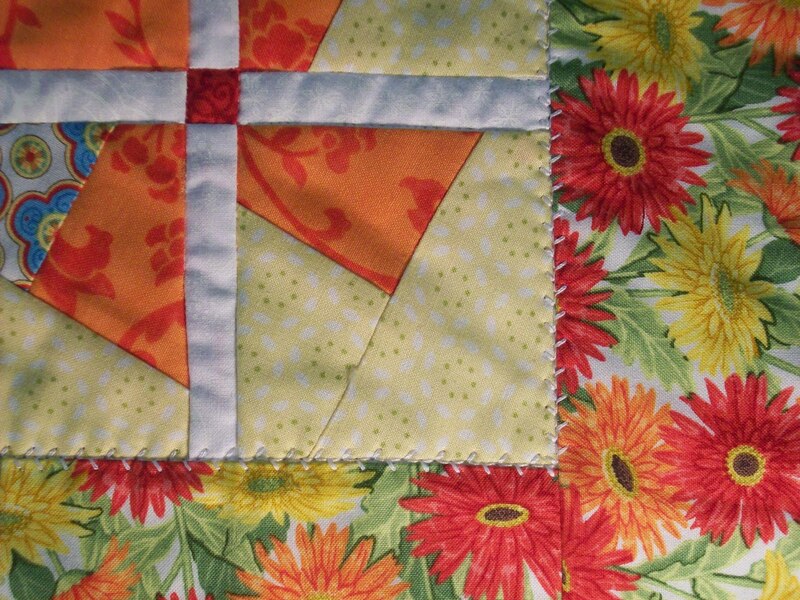 Sew inner border on quilt top, pressing seams open. Step #6: You are now ready to cut out your twisters. 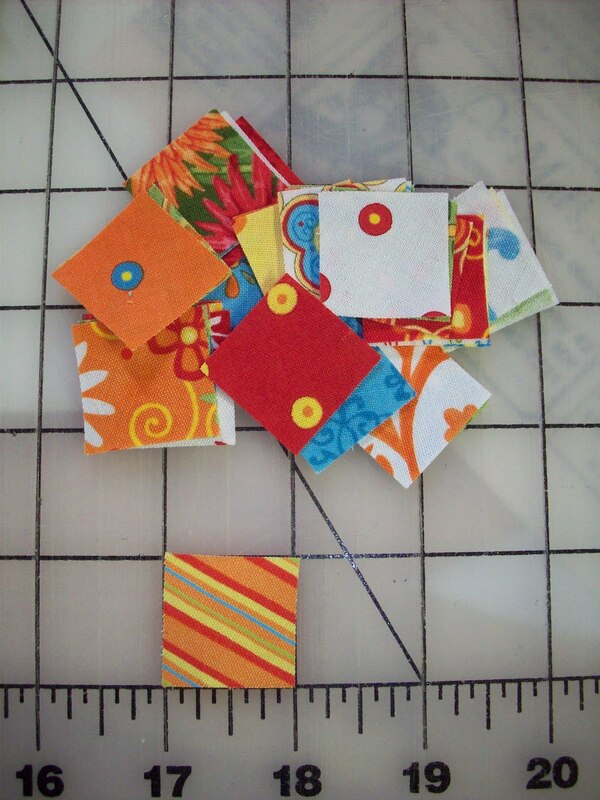 Inside of your Lil’ Twister package you will find wonderful directions on how to cut out your twisters. However, we’ve got it stepped out below should you prefer the visual!! (Top left pic) This is the corner you start on…the top left. Notice (see bottom right) how your align the markings on your Lil’ Twister template on the seam lines. 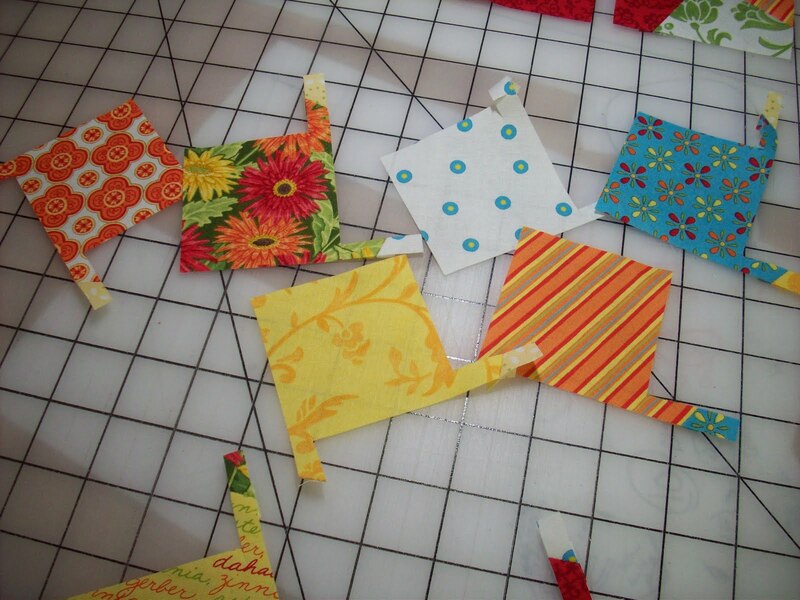 Once you have your template aligned correctly, carefully cut around all four sides with your rotary cutter. Once you’ve cut around all four sides, you should be able to pull out a unit looking like this. 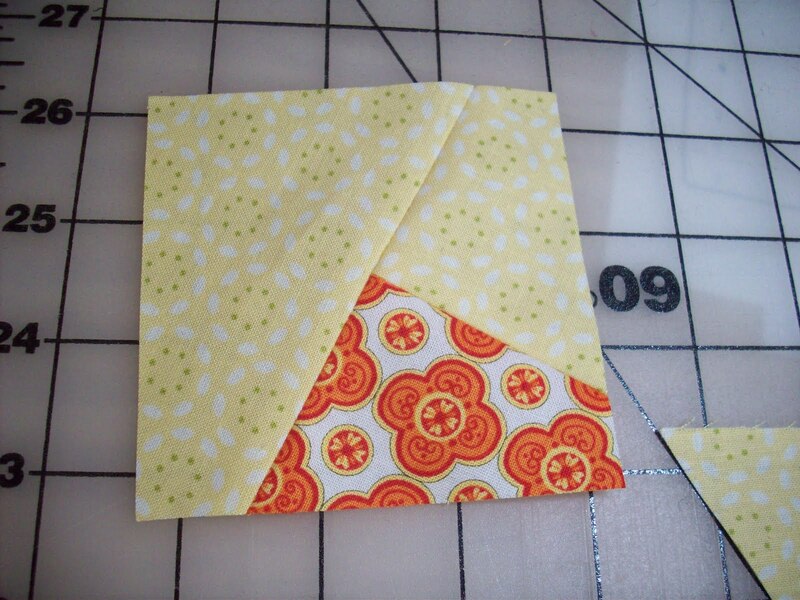 Continue cutting using the same method you did for the first twister square. I suggest cutting twisters in rows (you’ll be moving right). 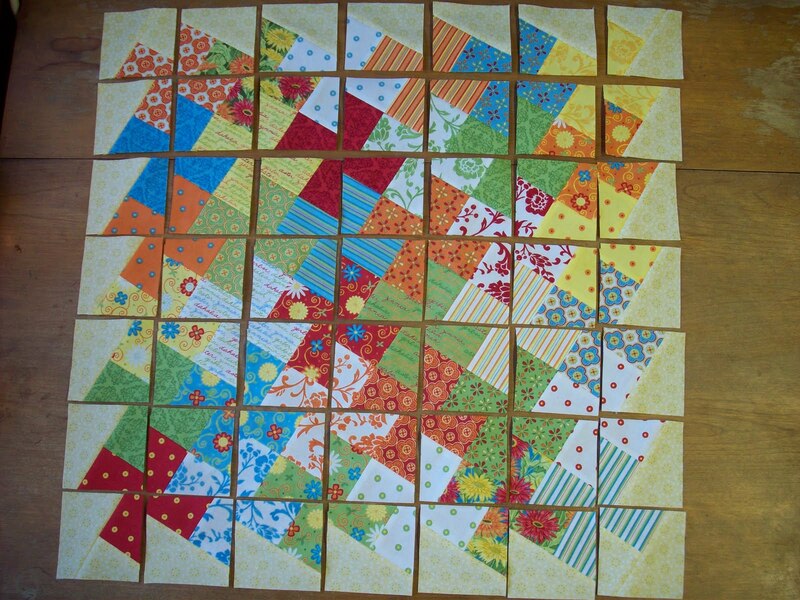 Once you’ve finished the first row, continue on to row 2 and beyond until you have completely cut up your first quilt top. Strip piece sashing strips and corner stones. Press seams open. 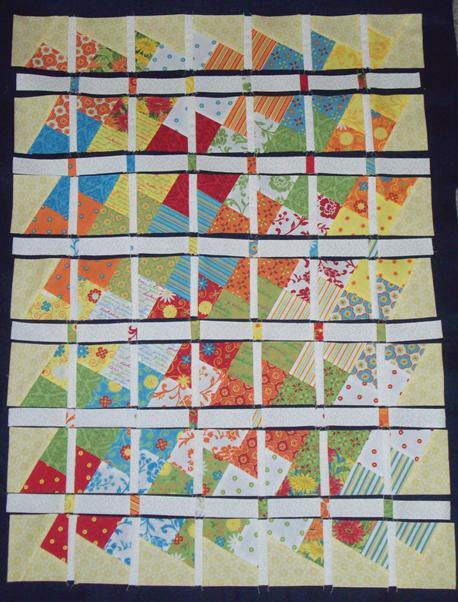 Step #13: Once all rows have been sewn together to form your quilt top you can add the outer border. 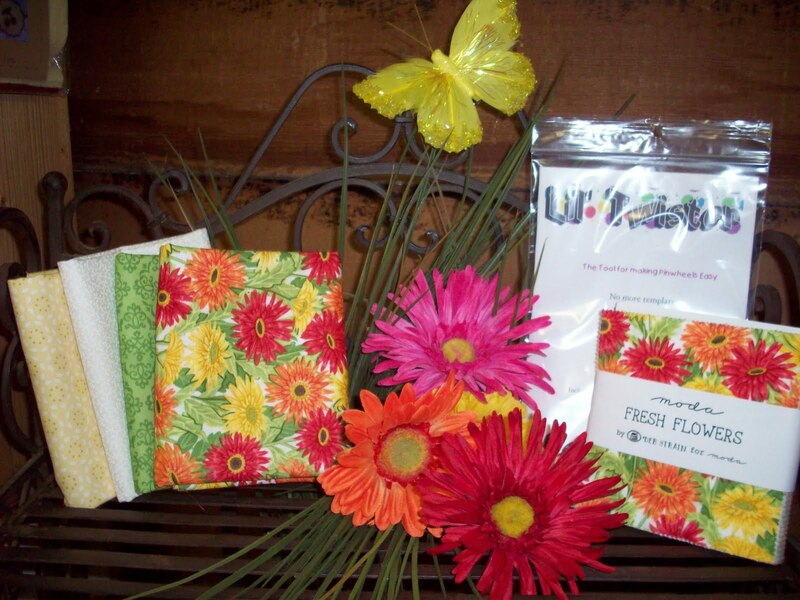 Cut (4) 3 1/2″ strips from the Fresh Flowers all-over floral print. 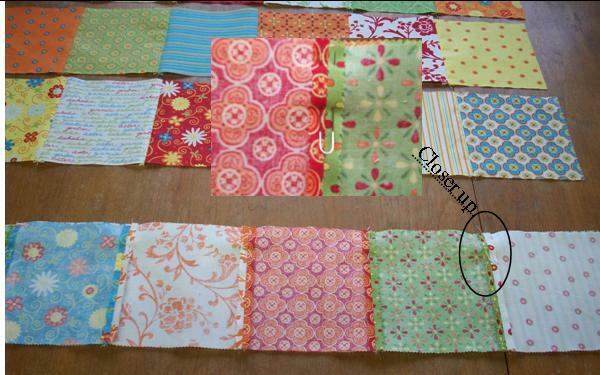 Again, find your quilt top lengths by measuring through the centers of your quilt top. 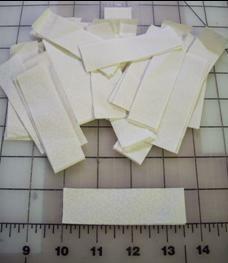 Sub-cut strips into (2) 3 1/2″ x *24 1/2″ and (2) 3 1/2″ x *30 1/4″ strips. 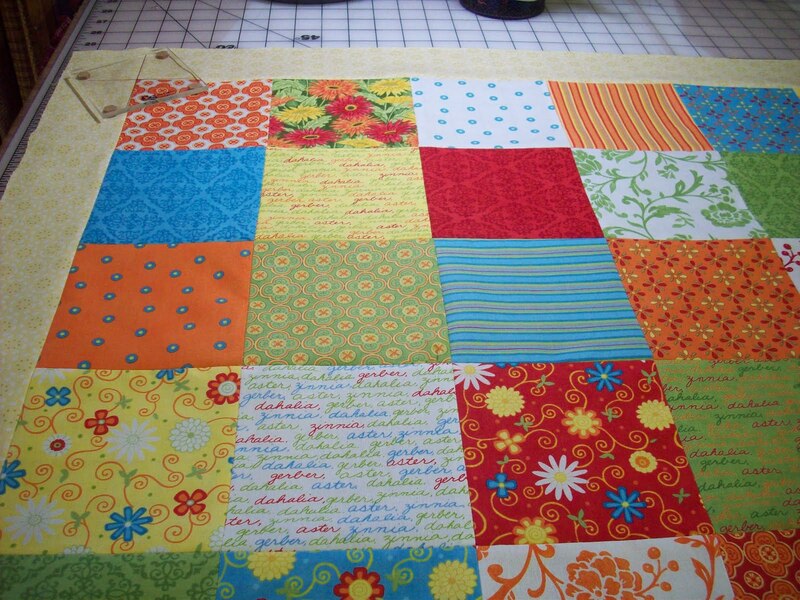 (again, make sure your quilt top length by the *measurement) Press seams towards the outer border. 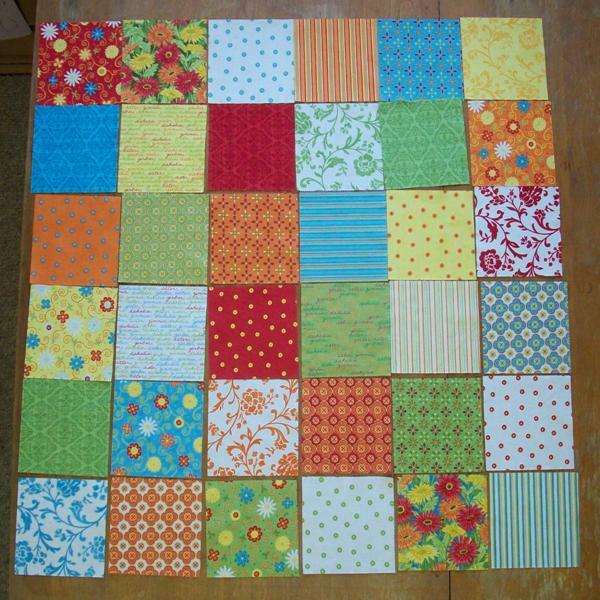 You are now ready to layer your quilt top with batting and backing and quilt as desired!! 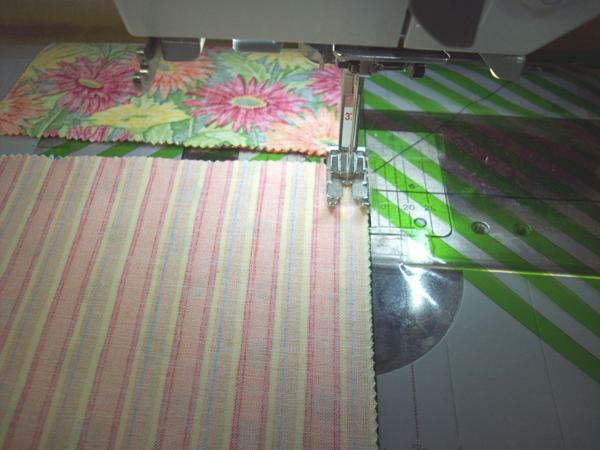 Cut ( 4) 2 1/2″ strips of the Fresh Flowers green for your binding. In our Garnishes list we mentioned 12-wt. Sulky thread. 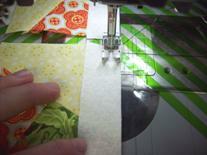 We LOVE to use this for decorative stitching on many of our quilt shop samples. Above you can see that we chose to feather stitch around the seam that added the outer border. 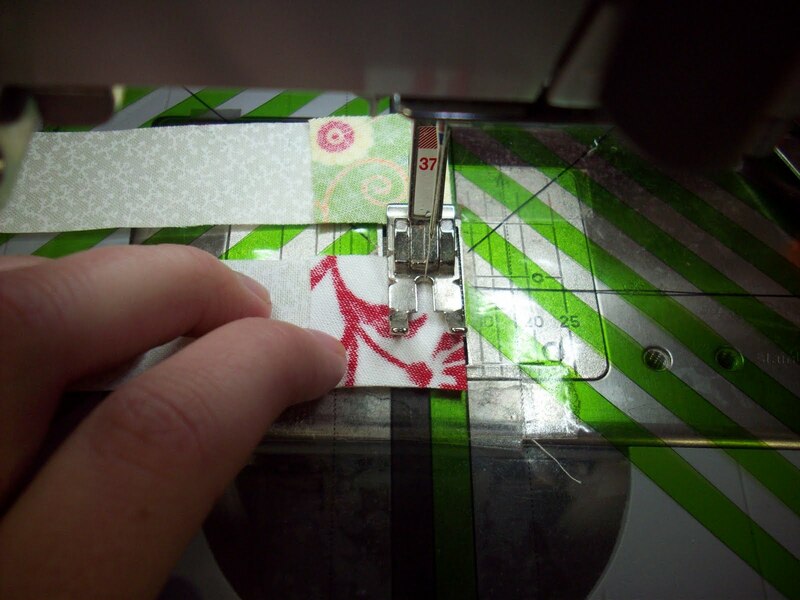 This thread works well to show off those fabulous stitches on many sewing machines. 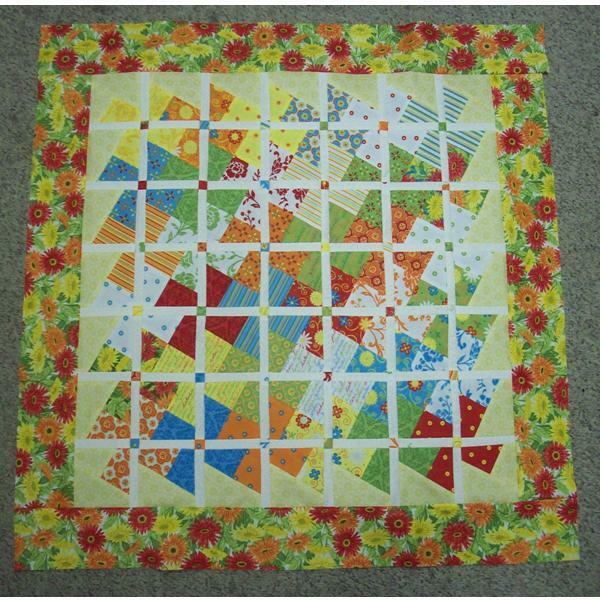 We also chose to stitch in the ditch the sashing strips and used invisible thread for that. Make sure if you decide to use the Sulky 12-wt. 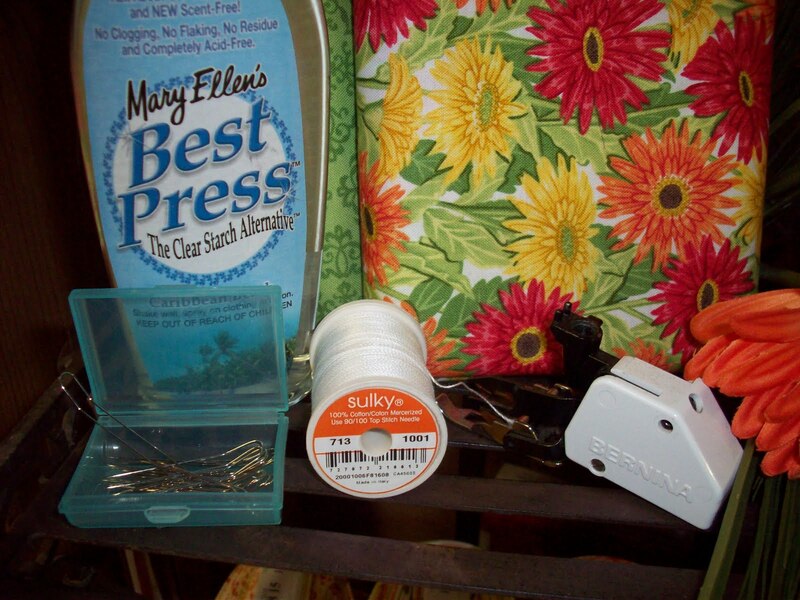 thread that you put a regular quilting thread (not Aurfil) in your bobbin. 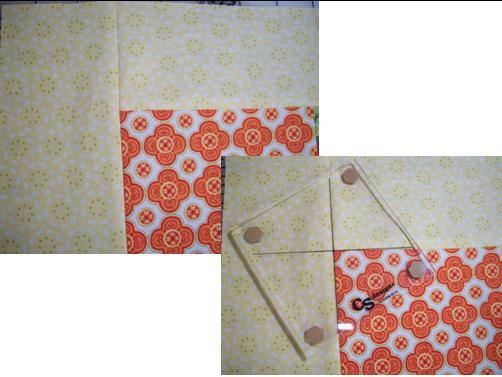 Please feel free to e-mail me at shadesofpastquilting@yahoo.com if you have any questions. 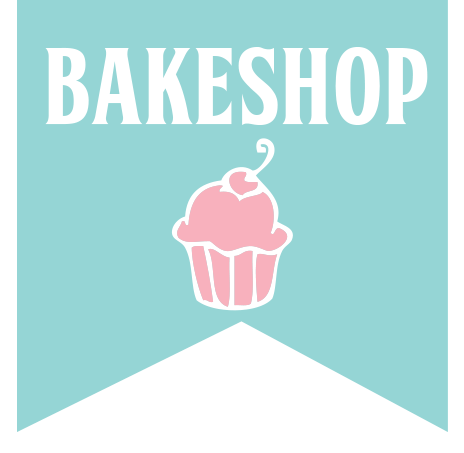 Please mention “Moda Bake Shop” in the subject. Enjoy the pattern!